The file named ARARSHL.dll is developed by DataNumen Incorporation and is an integral part of the ShellExt Module. The program is not digitally signed and didn’t receive any update in many years. The file is a part of the system registry but has been reported to cause no harm to the operating system. It is one of the Shell approved extensions and will automatically start on system boot. ARARSHL.dll is located in C:\Program Files\ARAR\. The program is a non-system process and is often targeted by malicious codes because of it having access to the system registry. The latest version of the program identified is at 1.2.0. The file size is 62.5 kilobytes. The threat level of the program is at 2. How to check if your computer is infected with ARARSHL.dll malware? How to remove ARARSHL.dll​ malware from system using Comodo Cleaning Essentials? 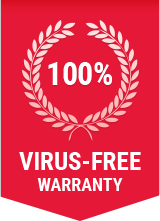 You can either choose to remove ARARSHL.dll and other malwares using Comodo Antivirus, or Comodo Cleaning Essentials (CCE) – both of which are absolutely free to download! CCE is a set of computer security tools designed to help you identify and remove malwares and unsafe processes from an infected computer.